The FSC-384 footswitch by Hosa Technology is an incredible value. A sturdy, extruded aluminum chassis makes it strong enough to withstand the rigors of the road. Simply connect a 1/4 in TS cable (sold separately) from the footswitch to the unit you wish to control, and you’re set. 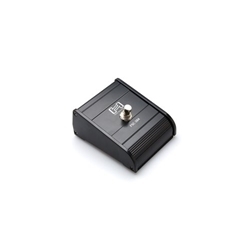 A latching footswitch is designed for guitar amp channel switching, signal processor on-off switching, and similar electronic device functions.